Vibrance and promise describe the Claremont Business community… especially for young professionals! With new businesses and startups emerging every day, it’s essential to connect with driven and like-minded peers. “Where to look” might you ask? 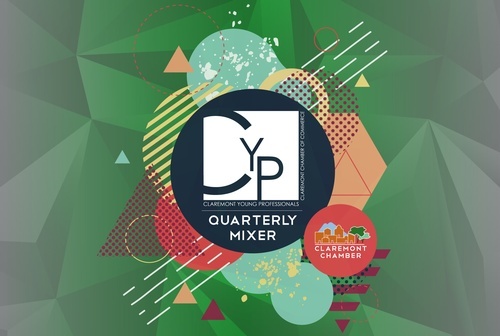 Join the Claremont Chamber Young Professionals for a night of mixing and mingling with young professionals and entrepreneurs who live and/or work in the Claremont area. Engage about how you can make an impact in your local community, expand your network and learn great tricks of the trade networking with us! This month’s mixer will be held Thursday, March 9th at Nuno’s Bistro & Bar, 2440 W Arrow Rte, Ste 4A, Upland CA 91786 at 5:30 pm. Don’t miss this great opportunity to meet this fun and energetic group! For more information go to www.claremontchamber.org or call 909-624-1681. The Claremont Chamber Young Professionals (CYP) targets the young and talented current Chamber Members. CYP exists to strengthen the vitality of Claremont and surrounding areas by providing a network of professional development and social opportunities. If your Chamber business has young entrepreneurs under 40, inquire with the Claremont Chamber as to how they can be a part of this energetic group. Networking events will be held quarterly as well as annual bowling fundraiser. Since 1922 the Claremont Chamber of Commerce has been playing a major leadership role in shaping the economic and social growth of the city by encouraging residents and visitors to do business locally. Today, over 480 member businesses and individuals continue that tradition of community commitment. Through the years, the Chamber has developed unique and innovative partnerships between the city's business, civic and residential communities, all designed to develop and maintain a strong, safe and viable city. For more information, visit www.claremontchamber.org.